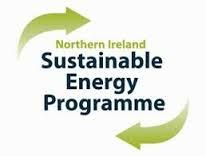 The Northern Ireland Sustainable Energy Programme (NISEP for short) provides help to install energy saving measures in your home. This can energy-efficient boilers, heating controls, loft insulation and cavity wall insulation. NISEP funding comes from a levy paid by all electricity customers. The scheme is delivered by energy companies and managed by the Utility Regulator. There is a set pot of money each year so its important to check the schemes are still available (and apply early!). The scheme is designed to provide support to people who may not be able to avail of other schemes such ‘Affordable Warmth’. Eighty per cent of the scheme is targeted at low income households and those at risk of fuel poverty. Each scheme has its own eligibility criteria and range of measures available. The current range of schemes will run until March 2018 (if the funding is not used up before). The tables below show all the current schemes which have been funded, who is eligible and how to apply. If your are interested in applying for any of these schemes contact the energy company administering the scheme directly. To find out more and apply to Power NI schemes contact 0800 0321 894 or visit www.powerni.co.uk. Energy saving advice for tenant. Housing Association Properties. Housing Associations are responsible for selecting properties and finding remainder of cost. Low-income households with no heating, economy 7 or solid fuel heating. Must be homeowner or private tenant. Housing Associations are responsible for selecting properties and funding remainder of cost. Low-income households. Must be homeowner or private tenant. Households that do not qualify for a priority scheme. Must be homeowner or private tenant. Cash back of £1,500 towards a natural gas heating system. Up to £800 for insulation measures including cavity wall, loft insulation and a hot water cylinder jacket. Low-income households within the firmus energy gas network area with no central heating, Economy 7, solid fuel or old LPG heating systems and oil boiler broken beyond viable repair. Must be homeowner or private tenant. Couple or single parent family with an income/pension of up to £40,000 gross. Low-income households within the firmus energy gas network area with no central heating, Economy 7, solid fuel or old oil or LPG heating systems (over 15 yrs or broken beyond viable repair. Must be homeowner or private tenant. Low-income households with no heating, a heating system broken beyond viable repair, Economy 7 or solid fuel heating. Must be homeowner or private tenant. Helm Housing Association and Choice Housing Association domestic properties with Economy 7 heating systems or no heating (or a system broken beyond viable repair). Housing Associations will be responsible for selecting properties and funding remainder of cost. Couple or single parent family with an income/pension of less than £35,000 gross.